What is The Difference Between 3G & 4G? Gone are the days where a mobile phone’s primary function was making calls. Internet access has become such an essential function of our devices as you no longer have to wait until you’re sitting at a computer to do things like checking emails and online banking. However, not all mobile data technologies are made equal. You’ve probably heard of ‘3G’ and ‘4G’ data before (and even 5G), but what does this really mean for your data connection and just how much of a difference is there between these technologies? 3G vs 4G: What’s the difference? They are both mobile data connections, but 3G is an older technology that usually delivers slower speeds. 4G is a newer technology that has the capacity to deliver faster speeds. The graph below shows the speed differences between 3G and 4G when it comes to common downloads. The difference between the speeds of 3G and 4G really start to show as the size of the files used increases. This is mainly due to the fact that 3G builds up speed as a download progresses, whereas 4G speeds remain constant over time. All about 4G: What is ‘LTE’? LTE is the official name for the new generation of mobile telecommunications standards launched in 2009, which began rolling out in Australia two years later. Compared to 3G, 4G boasts better voice call quality compared and much greater download speeds of up to 50Mbps (averaging around 20-30Mbps). It is now the focus network provided by the major telcos companies, with almost every new smartphone model now 4G compatible. LTE certainly makes the prospect of long haul trips much less painful – you can just tune out and stream your favourite TV shows and movies in glorious 1080p high definition to your phone or tablet with few hiccups. Is 4G available where I live? In Australia, 4G is mostly available in the state capital cities and major regional centers, but all the major providers have committed to rapidly expanding their coverage over the course of the next few years. Telstra, for example, has worked a lot on upgrading its existing 3G broadcasting towers to make 4G coverage as wide spread as 3G for these customers. You can find coverage checkers on the major providers’ websites in order to determine if your area is 4G compatible. Does my phone use 4G? If you’ve spent upwards of a few hundred dollars on new smartphone in the last four years, then chances are you’re 4G compatible. When you have a 4G compatible device, you can access superior network performance, provided it is offered by your mobile plan provider. What is 5G mobile data? 5G is the next step in mobile data speed, and it’s a big one. 5G has been tested, clocking speeds up to 5 gigabits per second (Gbps). This is simply ‘off the charts’ and is a speed far greater than what 4G can currently achieve. To put this in real terms, the entire Game of Thrones series could theoretically be downloaded in about 10 seconds. When can you have it? Telstra has already started rolling out it’s 5G network, with more sites to be added in 2019. Optus is rolling out a 5G broadband service, and 2019 will see more 5G compatible phones released by companies like Samsung. 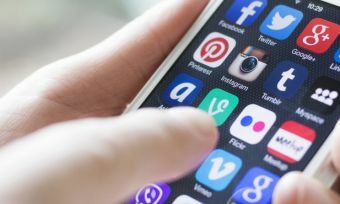 No longer is the internet simply used for cat videos and scrolling through Instagram – it’s constantly being embedded in everyday items like lights, appliances and everyday household stuff, as well as vehicles. This is called the ‘Internet of Things’ and data demands are going to skyrocket. 5G is being developed to try to handle these demands, and so far tests of 5G have gone swimmingly. 4G: What are the big networks doing? The Aussie telecom landscape is dominated by the big three players – Telstra, Vodafone and Optus. As such, you’d expect them to lead the charge when it comes to providing an elite 4G connectivity. 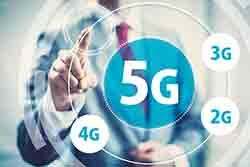 Telstra is notably the largest network operator in the country and the leading telco when it comes to building and rolling out a 5G network. As Australia’s largest network covering 99% of the population, it’s no surprise that Telstra is the leader in building new technologies and expanding it network coverage. While you can expect more 3G coverage in regional and remote parts of the country, its 4GX network is widespread along the coast and more heavily-populated parts of the country. Telstra’s 4GX technology uses the 700MHz spectrum (previously used by analogue television) to deliver this network, which doubles the 4G bandwidth, enabling the use of more devices at the same time. The telco is also rolling out more 5G sites across CBD in the major cities, and will continue to roll out more of this network. While this is exciting news considering how much faster the network is expected to be, you’ll still have to wait until more 5G compatible devices are released by the phone manufacturers. Vodafone claims to cover 96% of the population, but again, this isn’t that hard to do given that most of the us live on the coastlines. This link allows you to check if Vodafone covers you. Below is a snippet of Vodafone’s 12-month SIM only plans, with a 4G connection. Note that to get 4G, you need to be in a 4G-covered area – outside these areas will likely revert to 3G. Check Vodafone coverage maps to be sure you’re covered. Optus claims to reach 98.5% of the Australian population with its 3G and 4G networks. You can check your network coverage here. Also included in many plans are some interesting perks and entertainment packages. Again, be sure to check Optus coverage maps to make sure you are covered in the 4G spectrum; having a 4G plan doesn’t necessarily guarantee 4G, tip-top speeds. When it comes to choosing a network with 4G coverage, there isn’t much of a choice. 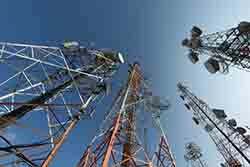 Given the dominance of the big three telco carriers in terms of their market position, smaller telcos aren’t going to spend the cash necessary to create another network and acquire the necessary rights. Australia doesn’t have a big enough market. However, these larger companies sell wholesale access to both their 3G and 4G networks to other companies, who operate as mobile virtual network operators (MVNOs). The ‘Big 3’ usually sell off parts of their networks to smaller challenger brands. This results in much the same network in metro areas, and likely with more data at a slightly lower cost. Some of these smaller providers, while not being as high profile as the big three, manage to offer some seriously good value for money, so be sure to check them out if you’re considering a new plan. Below is a selection of some, noting that there are 30+ providers in the market, so it pays to shop around. The below table includes sponsored links. What’s the story with 1G, 2G and 3G? The development of 3G services in the early years of the 21st century was a massive step forward for mobile communication in terms of coverage and reliability. 3G provided faster access to the internet, due to its ability to carry larger amounts of data — 3G transfers data at a rate of at least 200 kilobytes per second, which is enough to stream a small video, or download an app. However, 3G is ultimately yesterday’s benchmark in mobile telecommunication networks. Most users experience speeds of 5-20Mbps with 3G. Nowadays, this speed will struggle to meet the demands of today’s web browsing. Most websites are rich in videos and other multimedia, and streaming services like Netflix have increased consumer demands exponentially. 4G is simply the new standard, and with its continued development, coverage is likely to increase as years go on until the 5G network is more widespread. Do I need 4G connectivity? Despite its obvious speed superiority, 4G is not completely necessary. Given that you have a limited data cap on your mobile plans, you’re unlikely to be making large downloads using a 4G mobile network. For smaller downloads, such as messages, videos and image uploads, 3G is sufficient, and the slower speeds may not even be noticeable. Voice calls are also still made over 3G networks, meaning that 3G is not obsolete yet. 4G networks are still yet to be implemented in a lot of rural networks, so 3G is still the only coverage available for many Australians. 3G data is still the status quo for many Australians. As such, some telcos will offer mobile plans with huge amounts of 3G only data for fairly cheap prices. However, 3G is set to become an even older generation once more of the 5G technology is rolled out and makes 4G the older network. 3G vs 4G: What does it mean for me? All of this information about data connection doesn’t need to be mind boggling. In fact, it’s quite simple – you choose your phone plan, and you either have 4G or you don’t. If you’re in an urban area, chances are you do, but if you’re living remotely, 3G might be your only resource. There are other factors to consider when deciding on a phone plan, like price, inclusions and other perks. These make up the most important aspects when buying a mobile phone plan. No matter if you live in a 4G connected area or not, it’s worth comparing a range of different providers to see what plan is the best value for you.